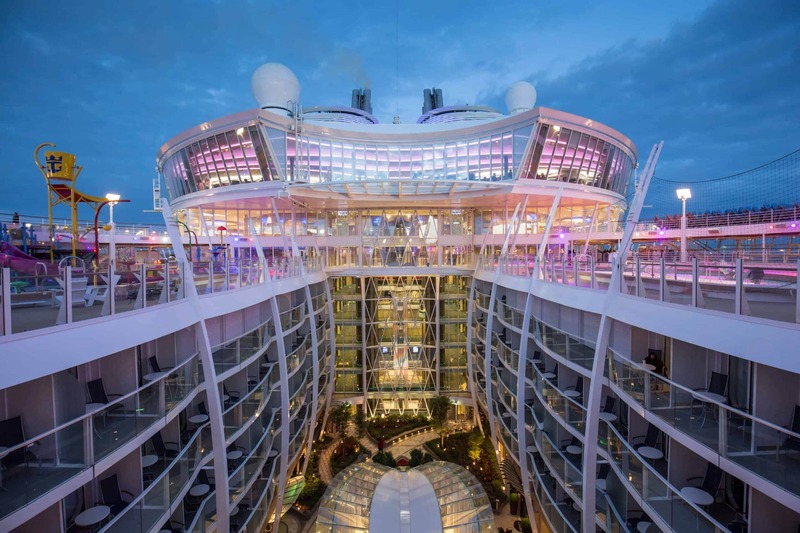 As big ship cruise lines go, Royal Caribbean International sails the biggest of the big. They have held the title of owning the worlds largest cruise ship for quite some time. Royal Caribbean continues to solidify that position with more new ships in the future too. But having the ability to build large vessels and defining their space in the sea of cruise line offerings are two quite different tasks. 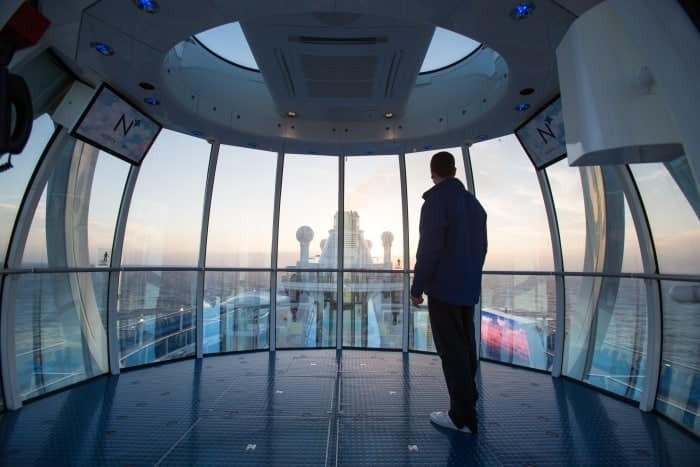 Royal Caribbean fuels their popularity with more than flashy top deck attractions. 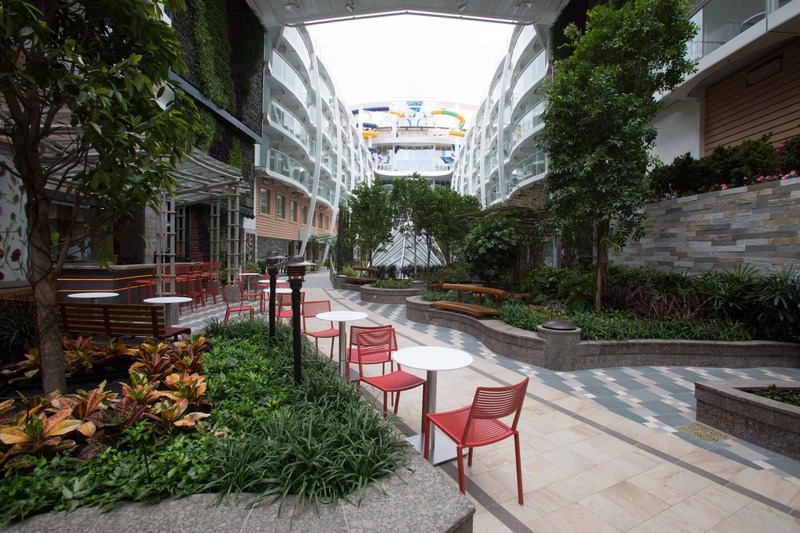 Unique Royal Caribbean features continue to drive the cruise line’s popularity and probably will well into the future. The Largest Ships In The World- There’s no denying it, Royal Caribbean Oasis-class ships are the largest and will probably hold that title. That size brings abundant opportunity to do one of two things: add more features or load on more cabins. Royal Caribbean did both. 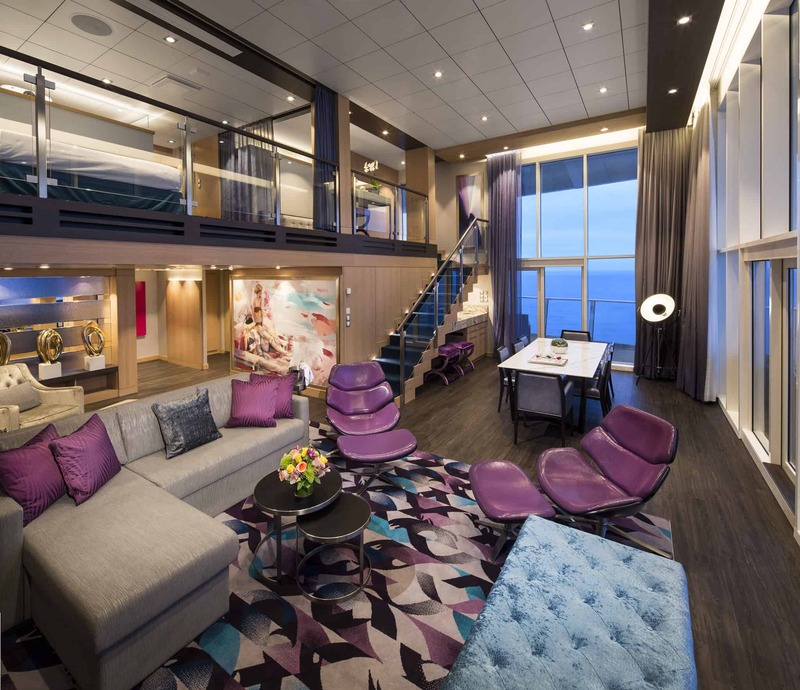 Unique Cabin Categories- Royal Caribbean features ships that have up to nearly 50 stateroom categories to choose from. Bigger ships have more diverse accommodations while smaller ones host a more traditional array. A Wide Variety Of Ships- In addition to the largest cruise ships in the world, vessels in the Royal Caribbean fleet go small too. Oasis of the Seas: 225,000 tons and the largest cruise ship in the world. Empress of the Seas: 48,000 tons and one of the smallest. In between: Freedom class at 154,000 tons, Voyager class 138,000 tons, Radiance class 90,000 tons, Vision class 69-82,000 tons and Sovereign class come in at 74,000 tons. 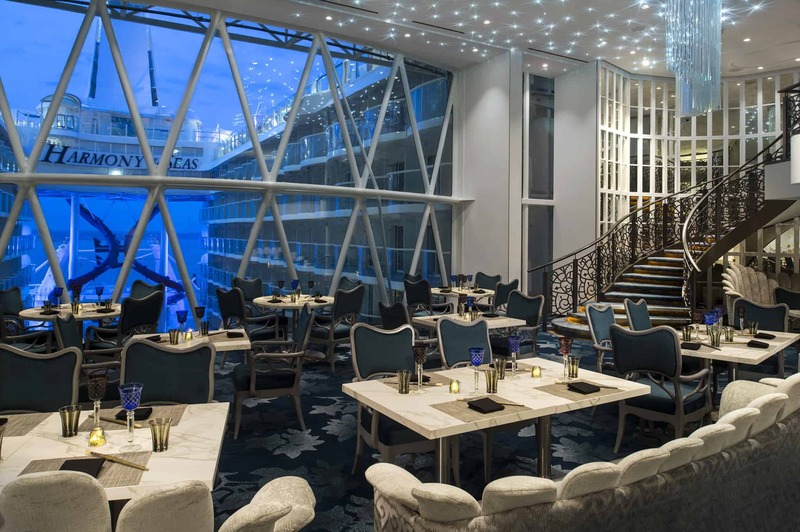 Signature Dining Venues- Like other cruise lines, Royal Caribbean features include their signature dining venues as well. But Royal Caribbean has gone far beyond the now obligatory one or two alternative dining venues, offering culinary options that are relevant and of interest to their target passengers. An important distinction: Most dining venues are included in the price of the cruise or come at a minimal additional fee which makes sense. 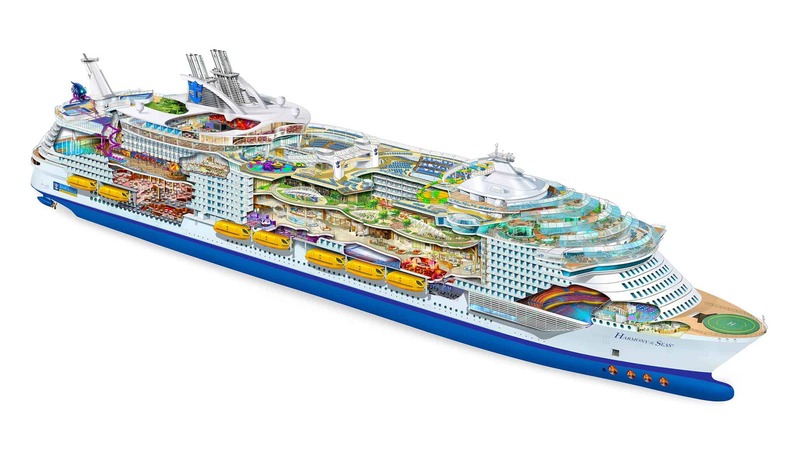 Interesting Itineraries- With big ships full of features, it would be easy for Royal Caribbean to highlight that on-the-ship focus and not be all that concerned about where the giant floating cities go. They don’t. Instead the cruise line recently began going deeper into destinations with Multi-Day Adventures that offer two-day overnight explorations. Go beyond about 9 days on a search for potential dream cruises and Royal Caribbean longer itineraries include more interesting ports of call and more time in port too. A Sample of a Two70 Show aboard Royal Caribbean’s Quantum Class ships. Entertainment Worth Seeing- For many cruise travelers, the entertainment element rates about as high as attending the safety drill in the overall pleasure of it all. Interestingly, on Royal Caribbean ships, the entertainment is actually worth seeing, even for those who gave up on entertainment at sea long ago. Bigger ships Royal Caribbean features shorter versions of Broadway shows serve up entertainment that rates high and keeps passengers coming back for more. Crown And Anchor Loyalty Program- Every cruise line has their past guest loyalty program, adding more benefits as we sail more with a particular cruise line. Top end benefits in the Royal Caribbean Crown and Anchor version are simply the best of all major cruise lines. 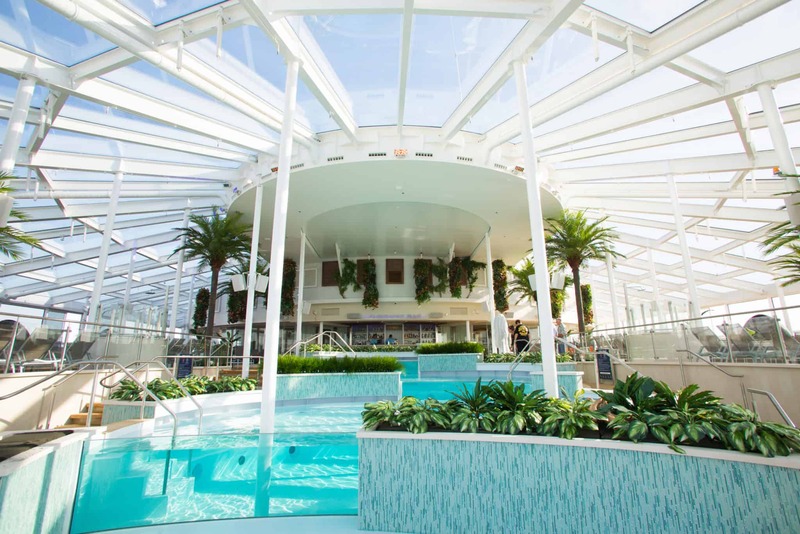 I jump directly to top end benefits attainable by most frequent cruise travelers (Diamond and Diamond Plus) because that’s where Royal Caribbean’s program shines. Make it to that level and cruise travelers have serious clout with the cruise line. Excellent Relationship With Travel Agents- Smart buyers have a good travel agent in their back pocket, giving them a qualified voice with the cruise line. Royal Caribbean consistently rates highly with agents as the cruise line most easy to do business with. That’s significant on a day to day basis and huge when something comes up during the life of a booking that requires special attention. That happens too. You have an existing booking and the price drops. If you knew that it did, you might call the cruise line and get them to honor the lower price. Your travel agent can do that much quicker and more efficiently. All of the above add up to a formula for success that Royal Caribbean seems confident with, applying these same guiding lights to new ships currently under construction. New Harmony of the Seas and ships under construction right now will all benefit from programs put in place and solidified by those vessels that came before them. Interestingly, every single one of the unique Royal Caribbean features mentioned here are focused on passenger experience. That’s probably the biggest unifying factor between them all. It’s what solidly positions Royal Caribbean as their own cruise line, not one copying what others do in an effort to be everything to everyone.